A new system unveiled today to link supply chain information through blockchain technology will revolutionise international trade by removing complexity. “To drive new efficiency gains, industry leaders need to develop mechanisms which facilitate the integration and interoperability of commercial operators across the supply chain and logistics sector,” Port of Brisbane CEO, Roy Cummins said, at the launch of a proof of concept Trade Community System digital application in Brisbane. “The Trade Community System proof of concept is the first stage in building an innovative end-to-end supply chain that will digitise the flow of trading information, improve connectivity for supply chain participants, reduce friction for business and reduce supply chain costs, providing unprecedented productivity gains for Australia’s international businesses,” PwC Partner, Ben Lannan said. The Trade Community System will address a number of points and recommendations from the recently released Inquiry into National Freight and Supply Chain Priorities Report. “As a trading nation, Australia relies on efficient and effective international supply chains to drive its economic engine room,” said Australian Chamber Director of Trade and International Affairs, Bryan Clark. Australia has been experiencing growth in its volume of trade, which has increased pressure on supply chains, ports and border authorities to process, screen and clear goods as efficiently as possible in to the Australian Economy. There are roughly 9 million container movements at our 5 major ports annually. This figure is projected to rise to 15 million by 2025. 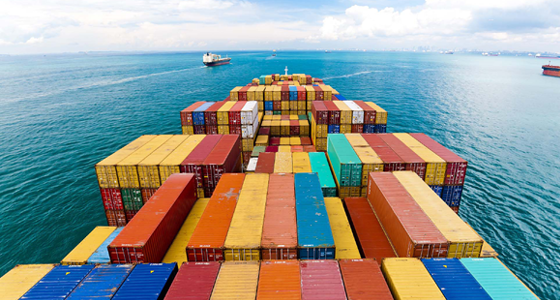 “At present the current inefficiency across Australian supply chains has added to the cost of doing business, creating up to $450 in excess costs per container. “This doesn’t just represent in excess of $1bn in value lost, but goes to the heart of Australian commodity trade viability when it gets priced out of the competitive global market,” Mr Clark says. “It is the right time for industry to initiate a reform and modernisation agenda which will shift the dial for Australia’s international business,” Roy Cummins said.